﻿ How to Crack the Email Call-to-Action Code » Red Mango Marketing! No matter what type of business you own, every email you send should have an action for readers to take. If you run a nonprofit, that action will likely be to donate. For a restaurant, maybe it’s to check out the new menu items or make a reservation. A retail business may want to drive customers to their online store. This is where your email call-to-action, or CTA, comes in. A powerful CTA can persuade even the most stubborn and hesitant reader to take action. But crafting a successful call-to-action is more than just providing a tempting offer. Below you’ll find five best practices for your email call-to-action, as well as actionable tips you can begin using right away. Sometimes you want your readers to do more than one thing. You may want them to volunteer and donate, or download a guide and make a purchase. However, you shouldn’t ask them to do too many things at once. You’ll run the risk of overwhelming people to the point that they don’t take any action at all. That’s why we suggest using one clear, concise call-to-action in your email. By including too many options, your message becomes unfocused and your reader will feel uncertain how to act. When you limit the choices, it is easier for a reader to take action. There aren’t any specific rules when it comes to the length of copy for your CTA. However, short, powerful calls-to-action incite curiosity in the reader and make it impossible not to click. Make sure you are clear about what the reader will get when they click. For example, if you’re offering an e-book, mention the word “e-book” in the CTA. There are certain words that may cause a negative reaction in your reader’s mind. Words such as “Buy” or “Download” may make the reader feel like they are being sold to, rather than helped. Consider a call-to-action that explains the value to your customer, rather than the action they must take to get there. Tip: Try to avoid generic wording like“Click here” at all costs. It doesn’t provide any incentive for your readers to click and it doesn’t demonstrate what the value is. You can do better! In the below examples, which button are you more likely to click? Readers should be able to identify the action you want them to take at first glance. Ensure that your customer easily notices your CTA by using a button rather than linked text. 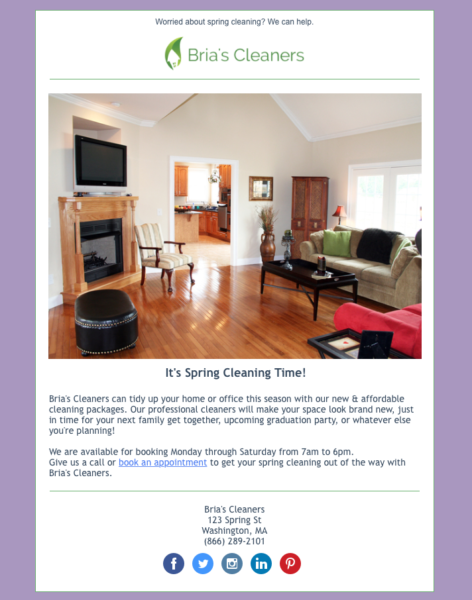 Choose a color for your button that is brighter and bolder than the other colors in your email to add emphasis. That being said, keep in mind that your button color should ideally be on-brand so it is still easily associated with your company. Another tool to use is white space. White space refers to the empty areas surrounding your button. Depending on the color of your email background, your white space may or may not actually be white. If the button has a lot of white space, or empty areas, around it, it is more likely to be noticed. In these two examples, which call-to-action catches your eye first? I’m willing to bet you chose the second example. If possible, try to keep your CTA “above the fold.” This means that the button is positioned in the upper half of an email, so readers can see the CTA without having to scroll down. Making your email mobile friendly could be the difference between someone taking action or completely missing your call-to-action because they couldn’t find it. When you use a mobile responsive template, the email automatically adjusts to fit the size of the screen on your customer’s device. This ensures an easy-to-read email on any phone, tablet, or computer. It’s hard to read the font, the call-to-action button is lost, and when your reader sees this email it isn’t exactly the delightful experience you were hoping for. Avoid this situation by using one of our mobile-friendly templates and deliver a WOW experience every single time. Don’t let this happen to you! You’ve put a lot of hard work into getting the attention of your reader, and the last thing you want is to drive them down a dead end. Before you send your email campaign, be sure to double-check all of your links. Make sure that your CTA button is linking to the correct page. 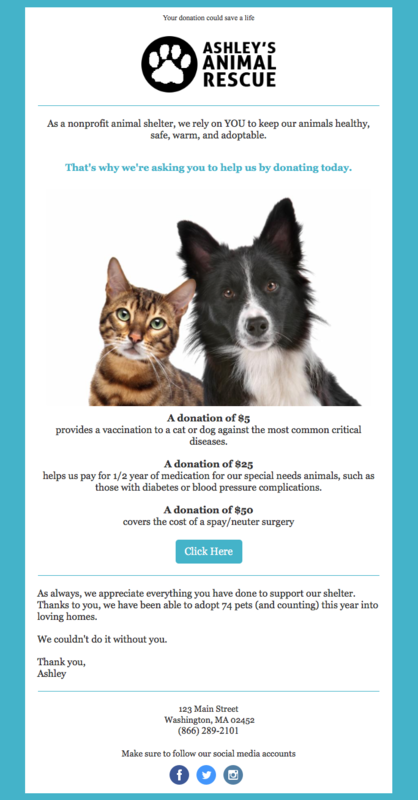 If you’re asking your contacts to donate, drive them directly to the donation page rather than your homepage. Make it as easy as possible for your readers. Start using these tips today! Once you begin to give your calls-to-action some attention, you’re bound to see your click-through rate increase. After all, your email call-to-action button is the main driver of click-throughs to your website, online store, social media, and more. That’s why it is so important to make sure you get them right. Here’s a little activity I like to do with email calls-to-action: recall the last time you clicked on something in an email you received. Why did you click? For me, it’s often because it came from an organization or business that I care about and I saw value in what they were offering. Sometimes, learning from your own actions can be the best place to start. Do you have a go-to CTA? Share your tips in the comments below. 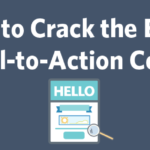 The post How to Crack the Email Call-to-Action Code appeared first on Constant Contact Blogs. 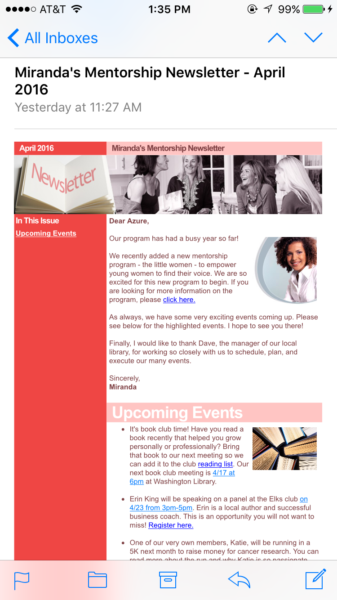 This entry was posted on Monday, April 18th, 2016 at 8:00 am	and is filed under content, Email Marketing, News & Updates. You can follow any responses to this entry through the RSS 2.0 feed. Both comments and pings are currently closed.